Fast rising Hamburg-based Russian cruiser Rakhim "the Machine" Chakhkiev take on Alexander Kotlobay on Universum´s show at the Grand Elysee in Hamburg January 28. 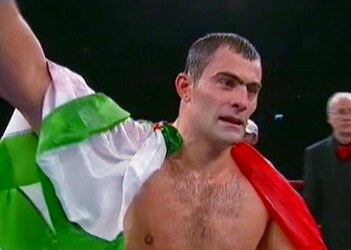 Kotlobay is ranked # 7 by the WBC and was a safe bet to beat Enzo Maccarinelli when they fought for the vacant EBU belt in 2010 but was knocked out in one round. Alexander has since bounced back and currently holds the WBC Baltic title.